MilliTalk's versatility for iPhones, iPads and i Pod Touches can turn any of these devices into a Wi-Fi or 3G mobile phone. Their introduction of completely free calling give everyone an opportunity to stay connected worldwide. President and CEO Timothy Meade said “unlike most free plans ours is actually free, there is no cost and no sign up. We hope using MilliTalk Free will allow everyone anywhere, to experience the convenience of staying connected”. Millicorp announced today that MilliTalk’s 2.1 has been released and is now available in the Apple App Store. MilliTalk’s updates continue to strengthen the users experience whether on an iPhone, iPad or iPod Touch. MilliTalk 2.1 continues to add versatility to iPhones, iPads, and iPod Touches and turn any of the devices into a Wi-Fi or 3G mobile phone with all of the features of a traditional cell phone but at a fraction of the cost. They offer 3 plans for the convenience of any user, which include MilliTalk Preview, MilliTalk Free, and the most preferred plan simply called MilliTalk. Each plan offers calling credit that enables calling anyone nationally or internationally, anywhere in the world, full customer service seven days a week, and clear digital calling combined with feature rich service. MilliTalk 2.1 enables the user to invite their contacts to use MilliTalk. The step to invite friends and contacts is simple, the user clicks on the ‘Tell a Friend’ button, scrolls and clicks on the contacts to invite and hits send. The invitations are automatically sent. MilliTalk’s user friendly service makes international calling easy and has added a Rate Finder in the app that gives the user the cost per minute of their international call. They have also added a new optional setting that alerts the user when running low on credit, noting their ability to add credit directly from their device if needed. MilliTalk’s 3G and Wi-Fi capabilities enable the user to talk worldwide to anyone at anytime, again on any device whether it’s on an iPhone, iPad or iPod Touch. To continue to improve reliability in rural and less reliable service areas, MilliTalk is less dependent on typical network connections. MilliTalk Preview includes the full functionality of MilliTalk. The user has the opportunity to experience all of the convenience and quality of MilliTalk with calling credit that allows the making and receiving of calls whether nationally or worldwide. It also gives the user an individual number to use at their discretion. MilliTalk Free is a truly free plan and is available to anyone. 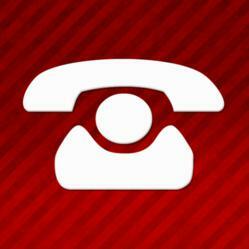 The user receives monthly calling credit to allow free calling nationally or worldwide. For the convenience of the MilliTalk Preview user, once their Preview has expired if they don’t purchase the MilliTalk plan they will be automatically moved to the Free plan continuing free calling credit. MilliTalk’s mission is the same with all of the plans they offer: to deliver a tremendous service combined with great call quality and to remove the need for expensive cellular minute plans. Today, President and CEO Timothy Meade said, “unlike most free plans ours is actually free, there is no cost and no sign up. We hope using MilliTalk Free will allow everyone anywhere, to experience the convenience of staying connected”. Mr. Meade continued “we strive to offer a service reflective of this global generation. This is precisely why have a plan for everyone that allows free calling, no matter what plan they are on”. Millicorp is a nationwide provider of communication products, services and applications. Millicorp provides a range of services for both consumers and small/medium-sized businesses such as MilliTalk, ConsCallHome and MilliVox. Millicorp is an FCC registered telecommunications company. MilliVox is the wholesale division of Millicorp. It is an evolutionary solution engineered with an advanced stage infrastructure to deliver a reliable, simple to use and affordable wholesale communications network with a nationwide footprint.